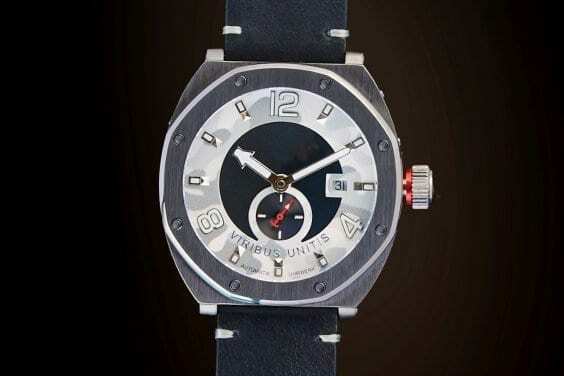 The watch model STURMBAON 48 with its unique white camo dial with inserted black leather, the gunmetal-plated steel case and the limitation to 50pcs guarantees sporty exclusiveness. 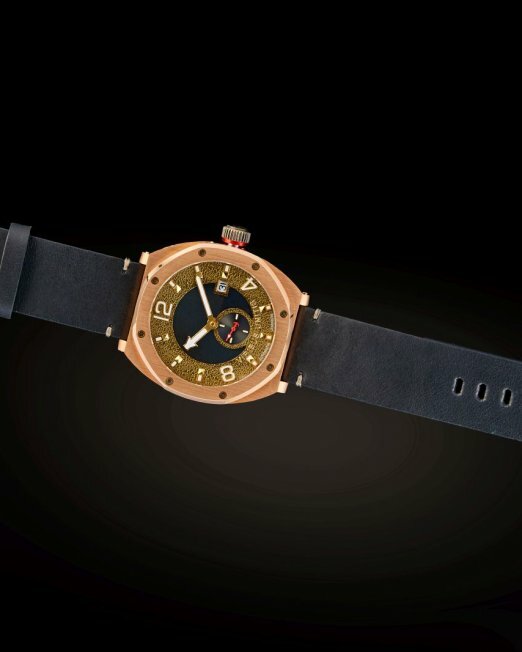 Our watch STURMBAON 48 was named after the k.u.k. stormtroopers of the 48th Infantry Division. The squad was part of Infantry Division No. 48 and was recruited from the Division’s Infantry Regiments. Shipping: Goods are usually shipped within 3-5 days after receipt of advance payment via bank transfer of payment via creditcard or PayPal. We will inform you, should there be delays in delivery. Information given by the seller regarding delivery dates are non-binding and only represent non-binding estimates. Fixed date deliveries can not be guaranteed. 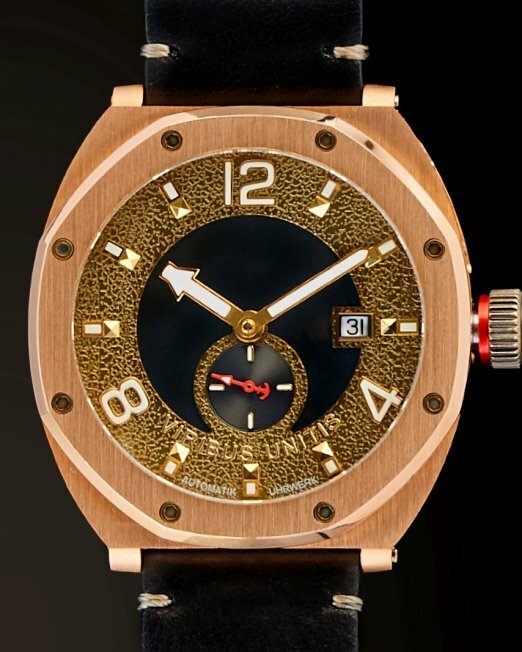 If a deadline can not be met due to an act of God, strike, fire, machine failure, unforseen hindrances or other circumstances not imputable to the seller, the delivery deadline will be extended for the duration of the event. The same applies if the seller defaults for late delivery. Shipping damages that the principal discovers after receipt of the goods are to be reported to the carrier or to us within 24 hours after receipt of said goods unless the sender has already been notified; otherwise, claims for compensation or replacements will not longer be possible. Right of Revocation: In case the customer is a consumer and he/she concluded a contract with the seller exclusivly via telecommunication means, including but not limited to telephone, eMail, or fax or via the seller’s website, the customer shall have a right of revocation as described below. In exceptional cases there shall be no right of revocation. If the customer purchased the products from the seller in order to use them in a commercial or self-employed business activity (in this case, the customer shall not be deemend to be a consumer) or in case of products produced according to the customer’s specifications or that were clearly customized to the customer’s personal needs (custom-made products). The customer shall be entitled to revoke the contract in writting (via letter, eMail or fax) within 14 days and without stating any reasons therefor. 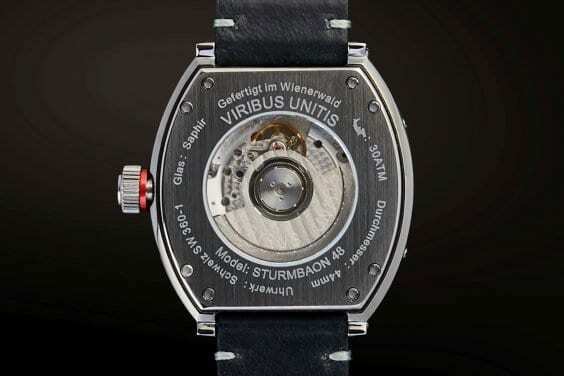 The revocation has to be addressed: VIRIBUS UNITIS Watches, Sparbach 31, A-2393 Sittendorf / Austria. 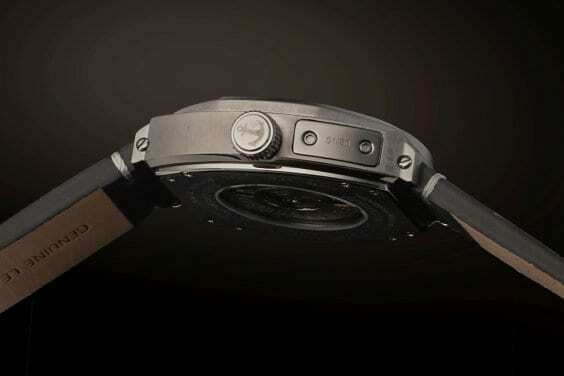 Please note, if you want to take advantage of our 14-day return policy to the full extend, then please do not remove the protection film of the watch, the metal bracelet and the clasp within this period. Also please refrain from shortening the metal bracelet. Only if you follow the instruction and the product remains fully intact, we are able the refund the purchase price. PayPal, Mastercard, Visa, American Express, in special cases advance payment with bank transfer. Your data is in safe hands with us! 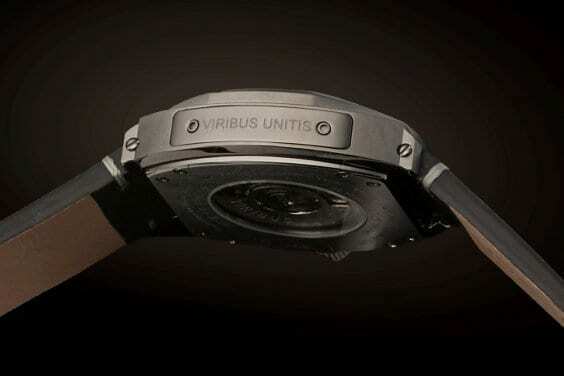 We, the VIRIBUS UNITIS Watches are committed to protecting your data and take this mission seriously. The data protection information describes why and how we collect data and how we process it when you visit our website. In case the customer is a consumer and he/she concluded a contract with the seller exclusivly via telecommunication means, including but not limited to telephone, eMail, or fax or via the seller’s website, the customer shall have a right of revocation as described below. 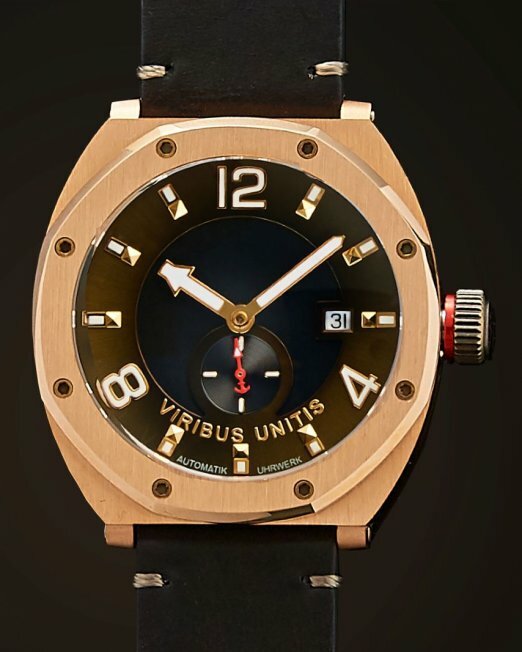 In the event of a valid revocation, VIRIBUS UNITIS Watches will refund the purchase prices (excluding transportation cost). For security reasons, please return the godds as a package postage prepaid. Packages for which the postage has not been paid, will not be accepted. Any deviating general terms and conditions of the customer shall be expressly excluded. Offers are only valid as long as they are published on our internet page. All information is given without guarantee. 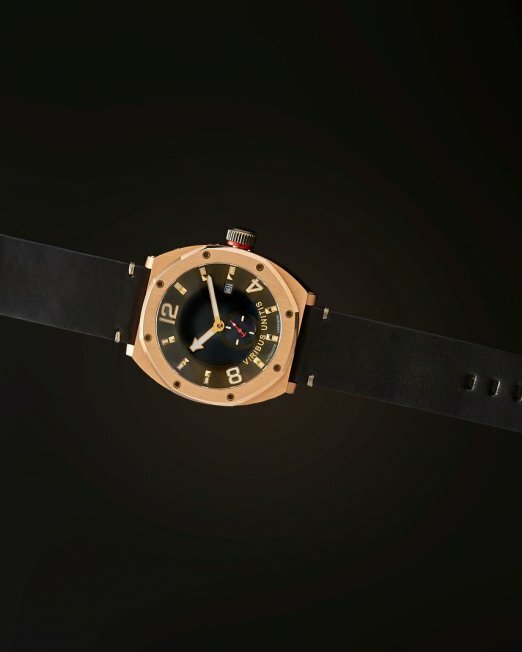 In particular, no obligation is assumed for the completeness of the stated prices. We assume no liability for errors and printing mistakes; prices and products remain subject to change. Our offers are without engagement and not binding. The presentation of the products in our online-shop shall not constitute a legally binding offer, but is merely a non-binding online-catalogue. We shall not assume any liability for errors in illustrations, descriptions, measurements, weights and we reserve the right to change our designs. Pictures shall be for illustration purposes only and might deviate from the actual product. The customer’s order placed on our internet pages or via eMail, internet auction, post, fax or telephone is binding. Receipt of the order will be confirmed immediately after the order is sent. A purchase contract shall only come into effect once the goods are delivered. Goods are usually sent within 8-10 days after receipt of payment. 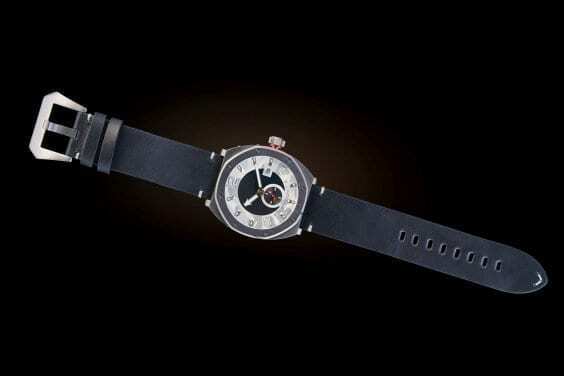 Wie will inform you, should there be delays in deliveries. Information given by the seller according delivery dates are non-binding and only represent non-binding estimates. Fixed date deliveries can not be guaranteed. If a deadline cna not be met due an act of God, strike, fire, machine failure, unforseen hindrances or other circumstances not imputable to the seller, the delivery deadline will be extended for the duration of the event. The same applies if the seller defaults for late delivery. Shipping damages that the principal discovers after receipt of the goods are to be reported to the carrier or to us within 24 hours after receipt of said goods unless the sender has already been notified; otherwise, claims for compensation or replacement will no longer be possible. The prices apply ex stock and are stated as unit prices in euro and contain applicable statutory VAT (20%), hereafter referred to as the “Value of Goods”. All prices are effective until a new price list is released. The shipping costs are not included int the price and will be added to the order amount separately. The packaging is included in the price. There may be markups by customs for deliveries abroad. Customs duties are generally borne by the buyer. Advance payment (bank transfer or PayPal) is subject to fees. The payment terms on our internet pages, on offers or in the order confirmation apply exclusively. The customer shall not be entitled to assert any right of retention unless the claims forming the basis of such right of retention arrose out of the same contractual relationship. The assignment or pledge of claims or rights the customer has vis-à-vis the seller shall be executed unless the seller gave its prior consent or unless the customer can provide evidence for a legitimate interest. By choosing the wire transfer payment option, the customer agrees to pay immediately after the order has been placed. Affirmation of the contract and delivery are effective upon receipt of payment. 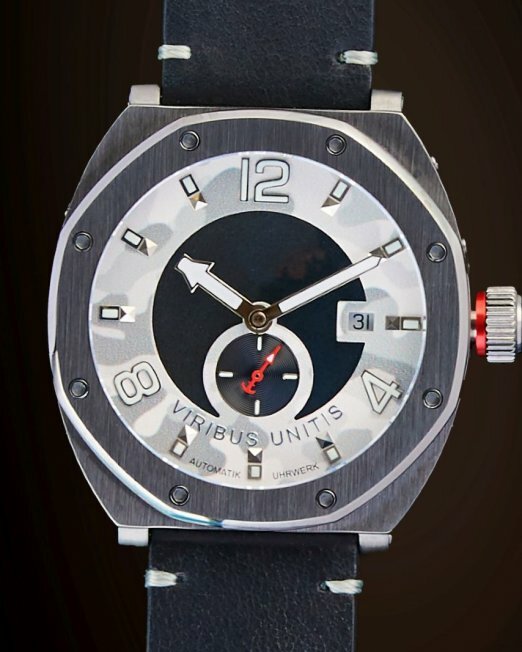 VIRIBUS UNITIS Watches is entitled to cancel an order if payment is not made within 5 working days from the time the order was placed. After your card has been charged, we will begin the delivery process. For security reasons, first-time orders can only be shipped to the cardholder’s billing address or a corporate work address which we are able to independently verify. To avoid delays, please make sure that your billing address matches the address on your credit card statement, and that the cardholder’s name is written exactly as it appears on your credit card. In the unlikely event, that we need to contact you during the authentication process, please ensure, that your contact details are accurate. Please choose PayPal when you select a payment option on our site and you will be redirected to the PayPal website. Alle delivered goods remain our property until payment of the purchase price is made in full. Accounts receivable from the resale of goods shall be assigned to us equivalent to the amount of the original invoice. In the event that the delivered goods or the property on which the goods are located are encumbered or are otherwise claimed by third parties (e.g. as a result of receivership or judical sale), the buyer is obligated to notify said third parties of our property rights and to immediately notify us in writing and provide us with copies of the return of execution. The seller shall be liable for defects in quality in accordance with the statutory provisions applicable, in particular §922 ff ABGB. A guarantee must be expressly stated in the delivery confirmation for the respective product in order to be effective. The seller shall not give a guarantee. We hereby notify our customers that we store and process your data – as far as is commercially necessairy and admissible under the Austrian Federal Data Protection Act. The data will not be passed on to third parties. We use your user data exclusively in processing your order. You have a right to free disclosure of your data as well as having it corrected, blocked or erased at any time. We will not forward your personal data, including your house and eMail address to third parties without your express consent which can be revoked at any time. Exception is made with regard to our service partners who require the transfer of data to process the orders. In these cases the extend of the data transferred will be kept to the minimum required. Your eMail will be put on our news list. You will receive information from us occassionally. Please let us know via eMail if you do not wish to receive said information. Feel free to send us an email. We’ll be happy to get in contact with you.